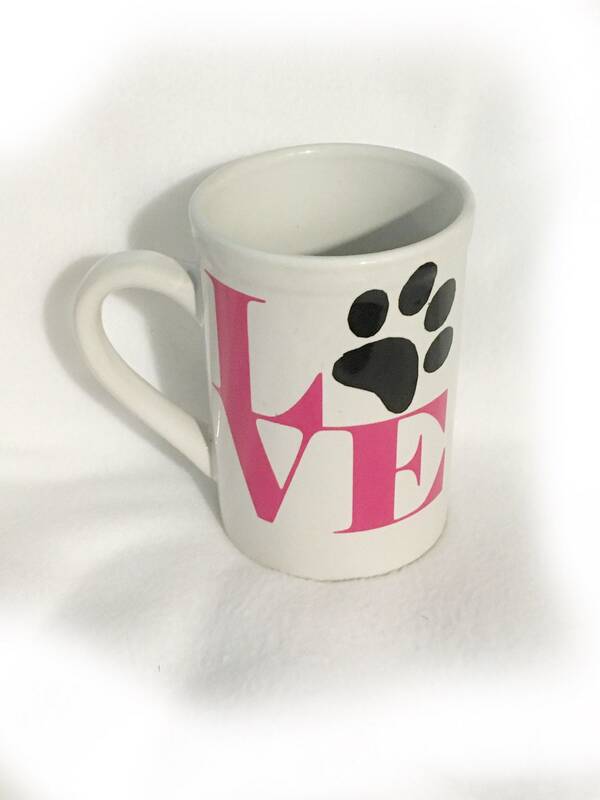 I have had requests for pet love gifts along with pet memorial gifts. So this is one of my first. It would make a great Christmas gift! 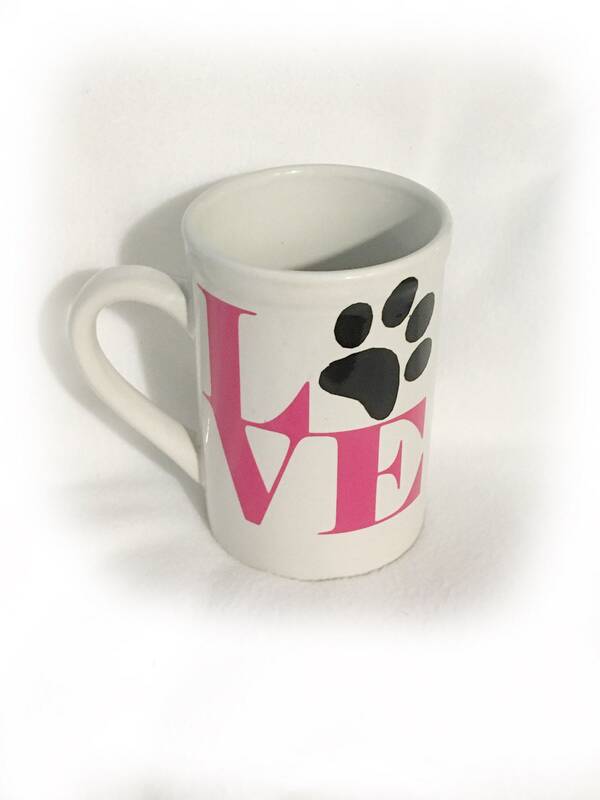 Or anytime gift for you or someone you love. 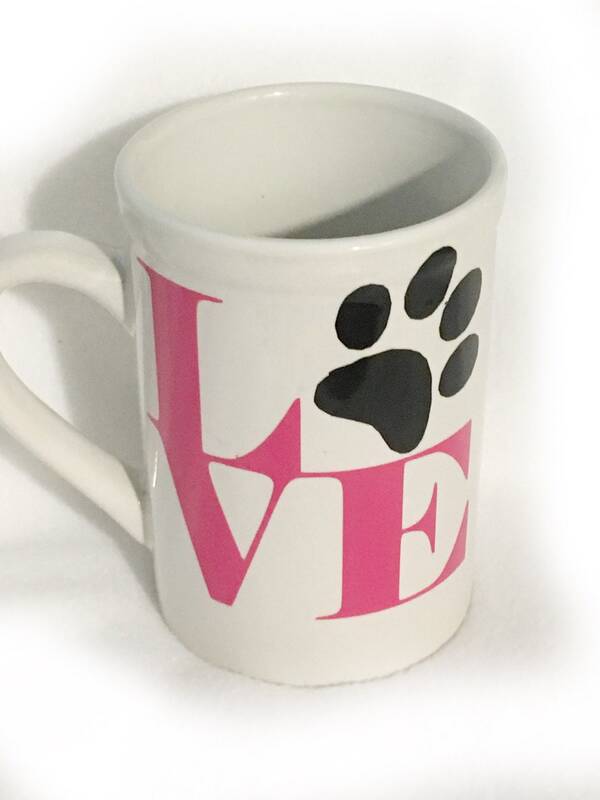 Because what sums up the love of a cat or dog more than LOVE? 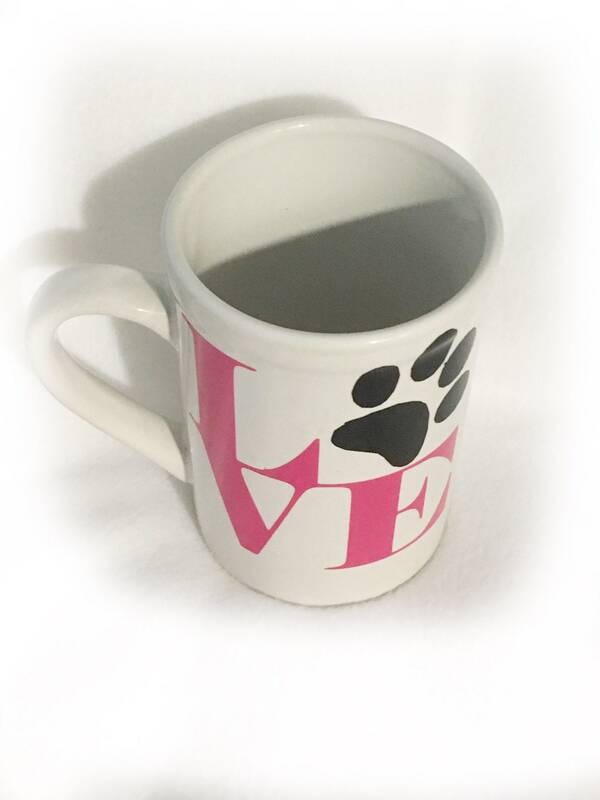 16 oz white ceramic mug. Vinyl design. Hand wash for longest life. Want more than one? Just send a message!